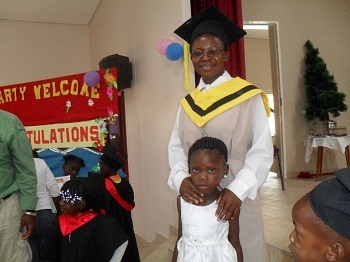 The Pre-school graduation of St. Benedict Kindergarten took place on November 30, 2013. It was held in St. Mary’s Hall in the compound of St. Benedict Priory House in Nubuamis, Windhoek. There were 33 graduating preschoolers. Before receiving their certificates, the children presented their Christmas songs, poems and dances. The younger students also presented performances during the celebration. 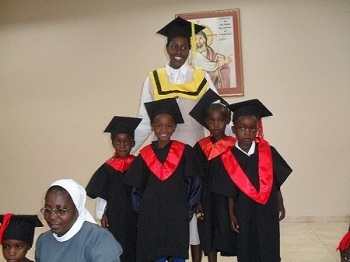 Postulant Marianna Joseph teaches the younger students while Postulant Beauty Kambazembi teaches the Pre-school. After the graduation parents, children and guests a like all celebrated with a potluck meal, provided by the parents, in St. Mary’s Hall.